Did you know that I offer one to one crafting sessions? Come along to my house for a two hour session and we will make three projects together and each session will be tailored to techniques you need to learn, ranging from the basic beginner techniques right through to techniques more appropriate for experienced crafters. Today's project is one I demonstrated in one of these sessions with a customer who is fairly new to papercrafting. We used the lovely Beautiful Bouquet stamp set and a pretty combination of colours - Petal Pink, Grapefruit Grove and Flirty Flamingo. 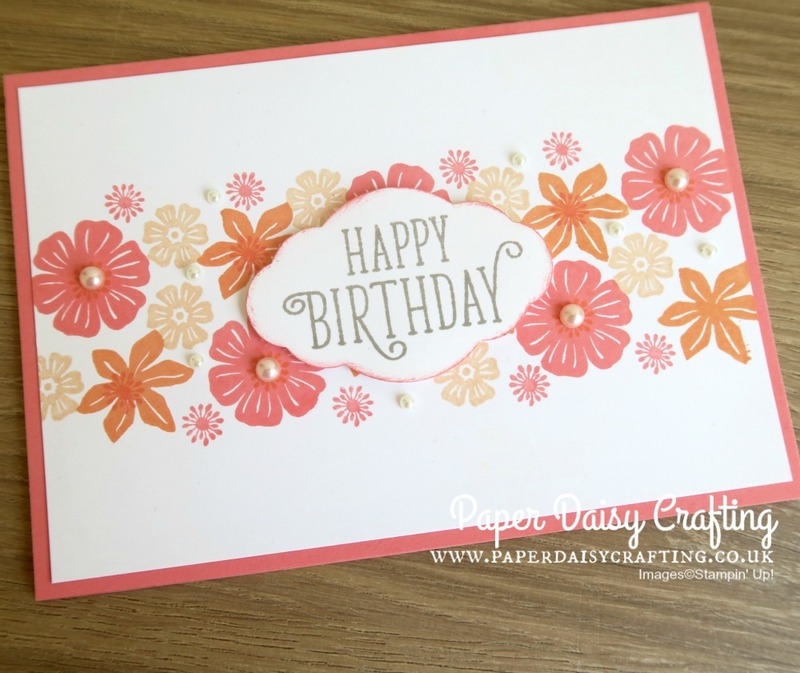 Just simple random stamping in all three colours and then a sentiment from Happy Birthday Gorgeous (one of my all time favourite sets) punched out with the Pretty Label punch. we sponged the edges of the punched shape before mounting onto to dimensional on the card. 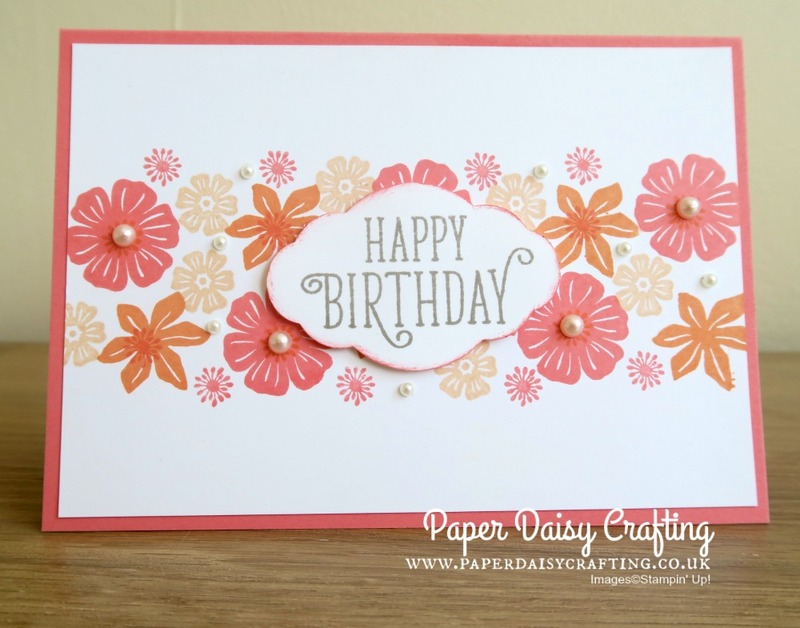 A sprinkling of pearls and the stamped panel was mounted onto a Flirty Flamingo card blank. Please get in touch if you are local to me (Chertsey, Surrey close to J11 of M25) and would like to book a one to one session - we will have such fun! !